A tricycle built for two? You bet! The TerraTrike Tandem is a great solution for those looking to ride with a companion. 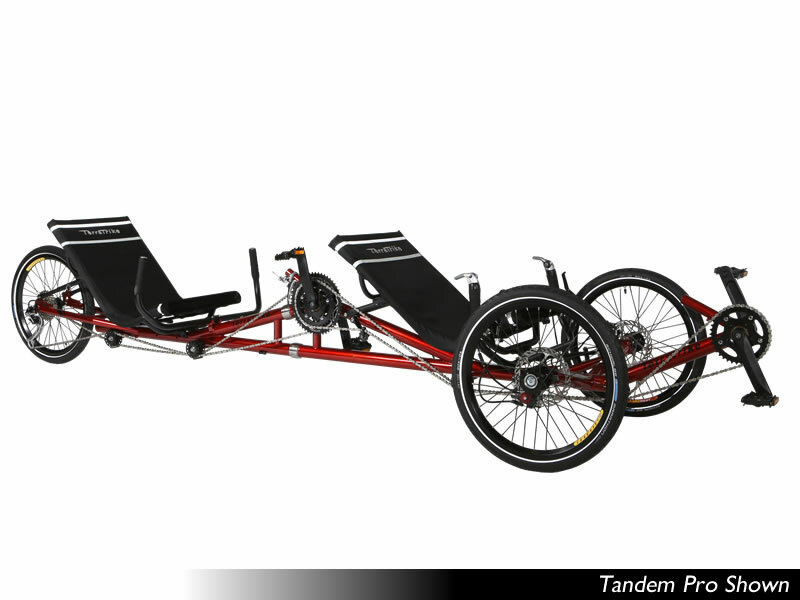 With superior stability compared to upright tandem bikes or recumbent tandem bikes, our tandem allows for users of all levels and ages to enjoy a partnered ride. Never has a leisurely ride with your companion been so much fun! Pedal in comfort and turn heads, all while getting great exercise. The Tandem is built solidly to withstand long distance rides and handles smoothly to allow for a riding experience like no other. The optional IPS lets on person pedal while the other coasts. You will laugh yourself silly as you fly down the bike paths at incredible speeds.